Chan Ming Kai is a politician I bump into often enough in the past few years. 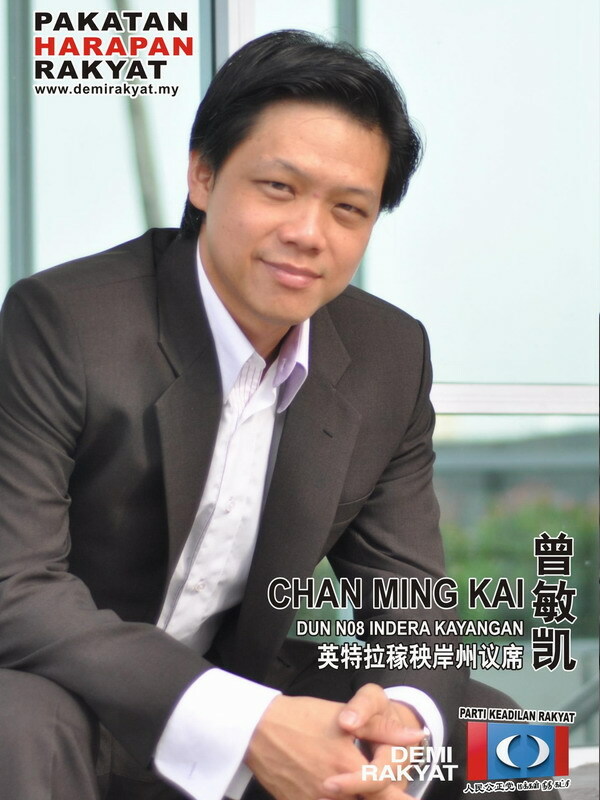 As State Assemblyman for Simpang Pulai in Perak between 2008 to 2013, I believe he has been one of the most hardworking politicians, running three service centres and also a service counter at the Ampang night market in his constituency for almost ten years, even before he was an elected representative. I conducted a phone interview with Yang Berhormat (The Honourable) Chan, post-GE13, where he has been elected as State Assemblyman for Indera Kayangan in Perlis. Firstly, a short background introduction….